February is the shortest month of the year but it is always loaded with highly coveted sneaker releases surrounding the NBA All Star Weekend (February 15-17). 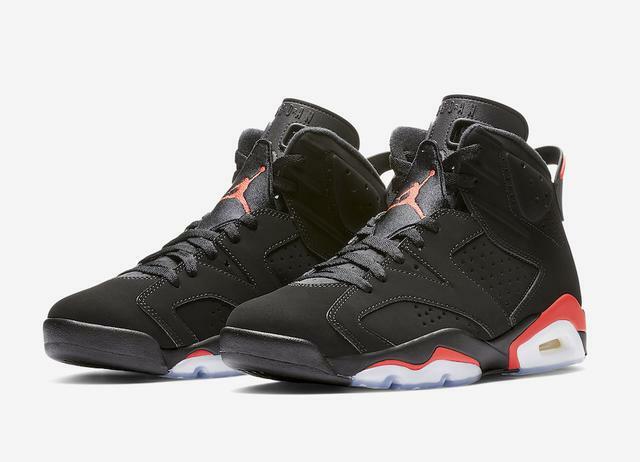 Nike and Jordan Brand, in particular, have several highly anticipated drops in store, including the iconic "Black/Infrared" Air Jordan 6, multiple Air Jordan 1s, and a Kobe retro. Additionally, Nike reportedly has plans to drop a "Watch The Throne" LeBron 16 during All Star Weekend, though that sneaker has not yet surfaced. Over the next few weeks, sneaker brands will be flooding the market with basketball and lifestyle selections so it's important to map out what lies ahead. Scroll down to preview 10 of the most popular sneakers set to drop in February. Adidas is honoring Black History Month with a three-sneaker collection inspired by the Harlem Renaissance. 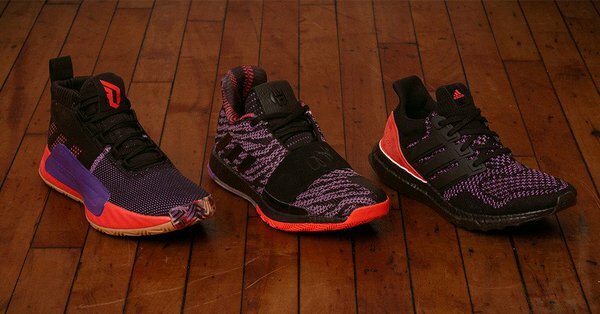 The collection consists of James Harden's Harden Vol.3 ($140), Damian Lillard's Dame 5 ($115) and the beloved UltraBoost ($180). Each sneaker is built on a purple, red, and black color scheme inspired by the colors of Harlem’s famous jazz ballrooms. All will release today, February 5. Nike has plans to release a special edition Air Max 97 in celebration of the 2019 NBA All Star Game. The kicks, just like the 2019 NBA All Star uniforms, are inspired by jerseys worn the last time the All Star festivities were held in Charlotte back in 1991. 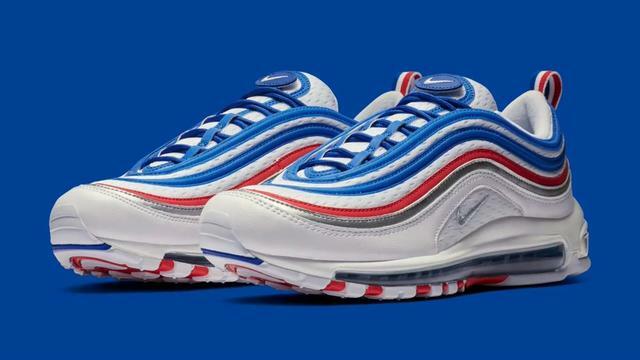 As seen in the official images provided by Nike, the "All Star" Air Max 97 features a combination of white leather and a jersey-like mesh on the upper accompanied by red, blue and metallic silver trim. Additional details include removable velcro Nike swoosh branding on each tongue and special edition insoles honoring the '91 uniforms. Jordan Brand's All Star lineup will include multiple UNC-themed retros, including the "Pearl Blue" Air Jordan 9 which draws on inspiration from the low-top AJ9 that debuted back in 2002. 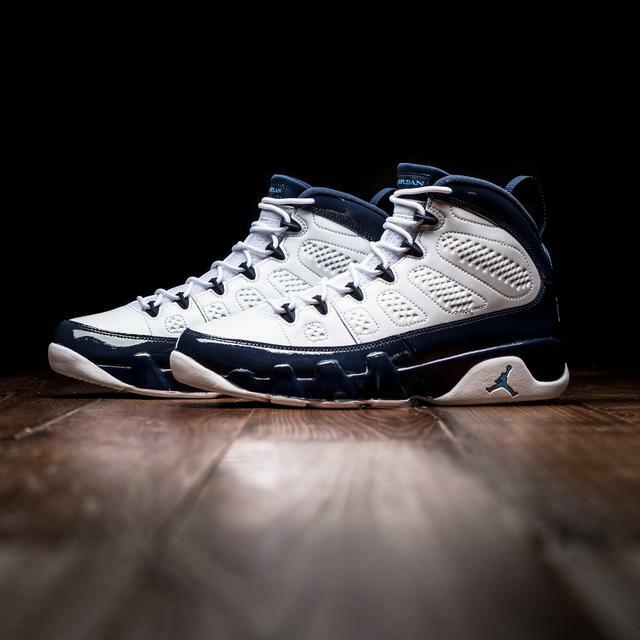 Just like the original, the 2019 rendition features a white leather upper accompanied by midnight navy patent leather trim and Carolina blue detailing. Men's sizes are priced at $190, but the kicks will also be available for big kids ($140), little kids ($80) and toddlers ($60). Charlotte-based retailer Social Status has teamed up with Jordan Brand for an exotic, limited edition Air Jordan 6 NRG that will release just before the All-Star festivities kick off. 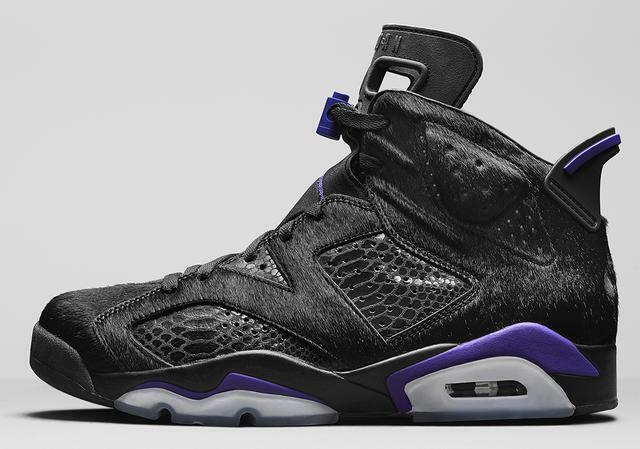 The 6s are built on a hairy black upper, inspired by MJ's "Black Cat" alter ego, along with hits of dark concord as a nod to the Hornets. According to reports, the Social Status x Air Jordan 6 will release exclusively in Charlotte on the 13, followed by a Nike SNKRS drop on February 21. 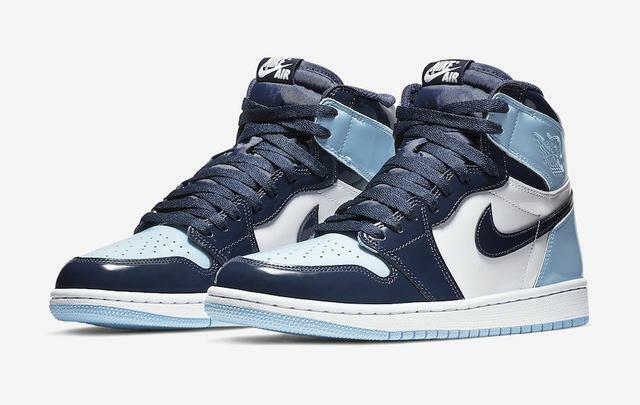 Similar to the "Peal Blue" Air Jordan 9, the upcoming women's "UNC" Air Jordan 1 includes hits of dark blue (this time, obsidian) to go along with the traditional white and powder blue color scheme. On top of that, and most notably, the all-new 1s are built on a glossy patent leather from heel to toe, as showcased in the IG post embedded below. Nike's Kobe Protro series, which began with a retooled version of the Nike Kobe 1, is set to continue in February with the release of the Nike Kobe IV Protro. 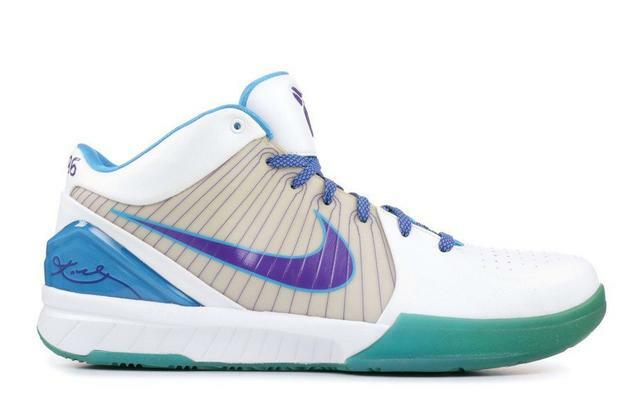 The Nike Kobe IV will reportedly return on February 15 in a "White/Orion Blue-Varsity Purple" colorway, which is the same color code as the Charlotte Hornets inspired "Draft Day" rendition that debuted in 2009. The kicks serve as a nod to the squad that drafted Kobe in 1996 (before they shipped him to the LA Lakers) as well as the All Star host city. 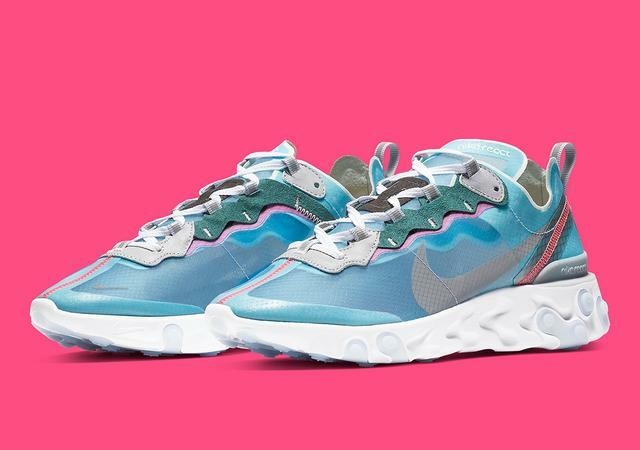 The super light, translucent Nike React Element 87 will return to retailers in a number of different colorways throughout 2019, including this "Royal Tint" rendition. The kicks, which are grounded by a pristine white Nike React sole, consist of an icy blue upper accompanied by hits of black, wolf grey and solar red. 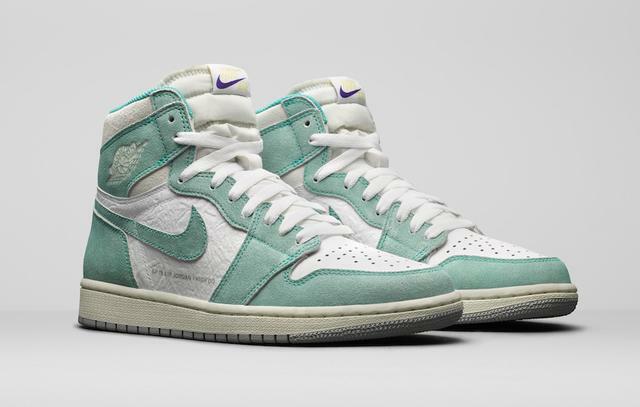 Like many of the other Air Jordans releasing in February, this "Turbo Green" Air Jordan 1 colorway serves as a nod to Charlotte, North Carolina - specifically the classic Charlotte Hornets team colors. The weathered Air Jordan 1 is highlighted by its suede "Turbo Green" overlays that sit atop the white leather upper, as well as the purple and gold detailing on the tongue's Nike Air branding. 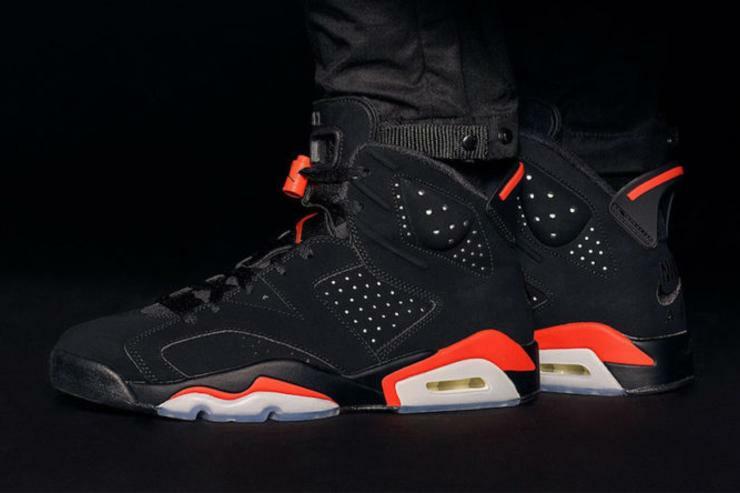 The iconic "Black Infrared" Air Jordan 6 that Michael Jordan wore during his first NBA title run will be returning to retailers on February 16 as part of Nike's annual All-Star game collection. The shoes will come in OG form, featuring the familiar black nubuck upper, infrared detailing, full-length Max Air unit in the sole, visible Air bubble in the heel and "Nike Air" logo on the heel. 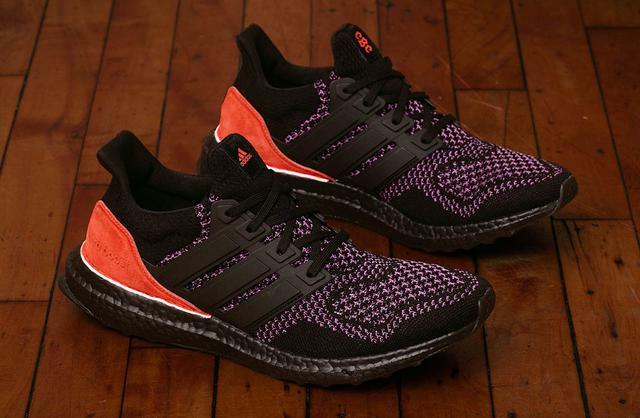 Additionally, they'll be available for the whole fam with men's sizes retailing for $200. 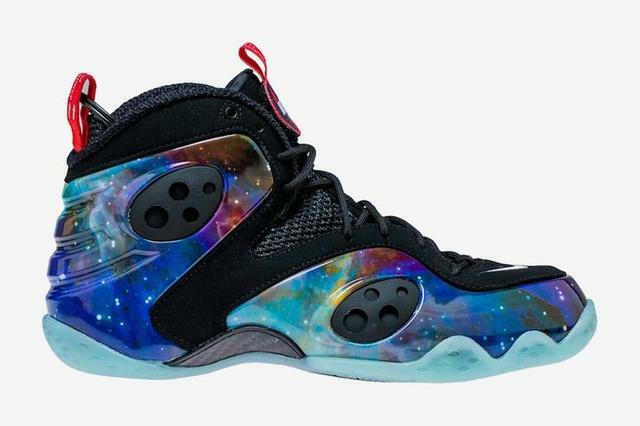 The "Galaxy" Nike Zoom Rookie is reportedly returning to retailers on February 22 for the first time since it debuted alongside the iconic Nike Air Foamposite One "Galaxy" in 2012. Styled just like the exclusive Galaxy Foams, the Nike Zoom Rookie is highlighted by a glossy, galactic graphic pattern offset by a black upper. Additional details include blue glow-in-the-dark outsoles, red NASA branding on the tongue and a red hang tag that reads "Remove Before Flight."